New: DFL-WDII has been more and more popular with its great support in its unique and powerful WD hdd repair and data recovery features. The DR world is selecting DFL-WDII hdd repair tool. 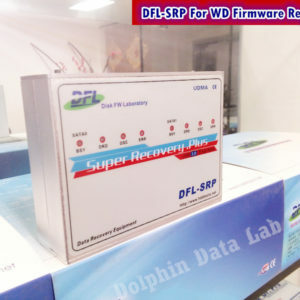 DFL-WDII is the top-class WD hdd firmware repair hardware tool with many new hdd repair features for high-success-rate western digital hard disk drive repair. It has built-in SATA and IDE support, clients can connect SATA and IDE drives directly without using adapters. 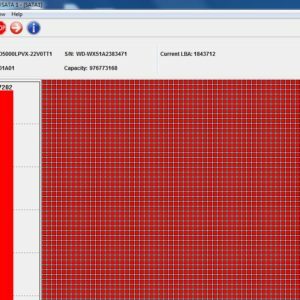 Firmware corruption is one of the most common and difficult hard drive failure we meet in the data recovery labs. The drives customers sending to us are usually inaccessible or wrongly detected and sometimes you can even hear clicking noises inside. No data recovery software so far in the data recovery market can handle firmware corruption data recovery cases. The development and release of this new western digital hard drive repair hardware will definitely help to fix the failures and damages which other existing firmware repair tools couldn’t do and therefore, customers’ WD hdd repair success rate can really be maximized!! More hdd repair features are available in the upgrade program of this advanced western digital hard drive repair hardware tool. Email to sales@dolphindatalab.com or get a free quote here. saya punua masalah dengan HDD WD 500GB…apakah alat ini dapat saya beli dimana.??? Hello Sir, manajer penjualan kami adalah menghubungi Anda segera, silahkan periksa email Anda. Terima kasih. Hello Sir, we have now two tools to repair WD hard drives, one is to repair WD hdd manually and the other tool is to repair WD hdd automatically. Can you tell us where you are from and we may have local sales and support center for you. Hello Friend, slow WD hdd or password removal is not difficult and you can easily use Dolphin tools to fix them. But do you use it for single case only? Merhaba benim 500 gblik wd hardiskim var bilgisayara takınca biçimlendirmek gerekiyor yani içindeki dosyaları göremiyorum onlar benim için cok önemli belgerim var bunu için ne yapabilirim?? Bu düzeltmek çok kolaydır ve genellikle kötü sektör sorunu, Yunus veri kurtarma aracı için bağlanma, verileri doğrudan görülebilir. Hi, I have a WD passport and I have lost a lot of photos of my son from when he was younger. I go into the folder and its empty. I have a lost music. The drive has warned of corrupt files lots of times. I have done scan and repair process via windows and am worried the data is gone forever..
My WD passport abruptly stop working, whenever I connect it to my computer the computer tells you that a passport has been connected to the computer. But I don’t see it in my computer. But instead, it always make a beeping noise whenever I plugged it. Can this problem be resolved? Hello Sammy, it seems your drive has heads stuck and this one can be resolved by drive opening in clean room and then use Dolphin data recovery tools to get data back, where are you from and we can recommend some local service suppliers to you with our tools. Forgot your password Is My Passport external HDD. I wonder if this device olabilirmi.büt my family and my child help me with this image available . I am glad to inform you about the price and shipping. Dear Sir, what kind of password? If it is the password by your WD smartware? If yes, the password cannot be removed until you remember the password. my WD passport is beeping when i connect it to the laptop.. the computer recognizes a new drive but can’t show it nor open it. Would it work for that? Dear Madalena, thank you for your comment and questions. For the beeping WD passport drive, it’s mostly head stuck and the head cannot enter the parking zone. This one usually needs the drive to be opened and then move the head to the parking zone or swap the head. 1TB My Passport ultra- portable hard disk, I ‘m house.We of disk formatting my password unuttum.v you istiyor.b products giderebilirm me wonder if this problem ? You solved this job if I get the price of your product. Yaşıyorum.kargo How much time in Turkey . Dear Sir, for single case, we don’t recommend and sell our tools, because we think the tools are not cost-effective for one single case. Besides if you just format your drive, you can try some software such as winhex, r-studio to scan your drive and see if your data is found or not. To ship to Turkey, we use DHL or EMS, the fastest is 3 or 4 working days around. Hello Friend, please check your email, we have replied to you with details, we will ship to you by DHL express and it takes 3 working days to Dubai. I have a WD my Passport 500GB external HDD and used for 4 years. It is password protected and one day , it prompted me that the password is invalid but I am 100% sure the password is correct. Is there something you can help? And how to get this. I am from Hong Kong. Really thanks a lot!!! Hello Ken, this one is usually caused by bad sectors, the encryptions sectors may be bad and therefore, the encryption sectors cannot be read correctly, need to image the data to one good drive and then try to unlock the data again. i just started to do hdd recovery and find it very interesting. i would like to know with this what tool do i need to recover all types of drives or would i need multiple tools? 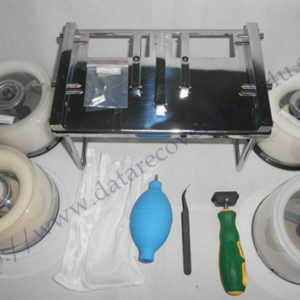 We have emailed you details and tips of starting one serious data recovery business successfully. Please check your email and looking forward to your reply. Dear Chandan, To fix Seagate busy problem is not difficult, you just need to manage to access to the SA and enter T> and then you can enter commands to fix the busy problem and you need to use our DFL-SRP USB3.0 for Seagate. Hello Friend, I am sorry if you forget the password set by smartware, it can not be unlocked at this moment. My WD elements 1 tb has a “realocted sector” problem. I can’t use it anymore, it just freezes and I have to Plug it out. Can you recommend anything on this. p.s I’m from India. with 2TB Storage FireWire 800 / USB 2.0? I’ve noticed, if you swap the old motherboard with the new motherboard the clicking stops. Though the hard drive turns without appearing on the desktop screen. How would you proceed? Thanks in advance! Dear Robert, if you swapped motherboard, the drive stops clicking, this can be firmware issue and you need special WD firmware repair tool to fix it. You’d better convert to sata and check further the problems. Hello Sir, ini adalah kegagalan modul terutama firmware dan Anda dapat memperbaikinya dengan wd perbaikan firmware alat-SRP USB3.0 kami untuk WD. Hello Mohamed, logical, firmware and physical bad sectors are supported. Ada referensi tempat service untuk ambil data dari WD passport yang tidak bisa di read dalamny? Dear Sir, untuk memulihkan data dari pasien paspor WD, Anda perlu khusus alat perbaikan firmware untuk memperbaiki kegagalan firmware dan kemudian mencoba untuk memulihkan data. Thanks for the fast reply.My location is İstanbul, Turkey. Again thank you for your help. Hello Sir, i have a My Book Essential wich i cant access now. İt spins , and i hear 3 to 4 times a clickng sound. Here are some specifics: P/N WDBACW0030HKB-01 Model: WDBACW0030HKB-EESN product of Thailand. Please , could give any advice what should i do, should i try your tool ? Thank you. Hello Mr. Tan, if you just recover one single hard drive, we don’t recommend our data recovery tools at all which are mainly for commercial purpose. For the clicking noises, if it doesn’t drop to the ground or get severe Collision, it can be firmware problem and it can be fixed by our WD firmware repair tool. Maybe you can tell us where you are from and we can introduce to you one local sales and service center which might help more. Hello Amrit, we have already emailed to you with details. I have a WD My Passport, with password. The reminder for the password is still on but either I dont know the password anymore. Or the password is correct but does not work. Is there any way to remove the password, in order to recover the important photos and other data? Hello Nick, thanks for your questions. As for password on My Passport, it’s not easy but need to try on our tool and input your password. Can you tell us where you are from and we will introduce to you the local users with our tools and data recovery techs. I am having WD My passport Ultra 1Tb HDD. I am getting some clicking sound. I am having some important data in it…so please help me to recover those data as i am having the warranty period till 2017 april. So please help me with suitable solutions. Hello Friend, you can tell us where you are from and we will introduce to you some reliable local data recovery service suppliers and you can minimize the risk of getting the lost data. Hola señor, gracias por sus comentarios, pero nuestra herramienta no puede soportar SSD en este momento para la eliminación contraseña. Hello Friend, This WD tool is able to repair slow WD drives dur to firmware failures or bad sectors, is also able to edit ID, reset smart, remove password, etc. You can easily buy from us by DHL express, you get it within three working days. good day sir do you have a branch here in the manila philippines ? mohon bantuannya, hdd ga bisa di format dari disk management dan proses pembacaan hddnya juga makan waktu lama. bisa minta solusinya? minta bantuan. saya menggunakan WD my passport ultra. sekarang saya sedang mengalami masalah. teruatam apada saat menyambungkan ke perangkat. laptop menjadi lamban dan hardisk externalnya lamban terbaca. I have western digital my passport ultra 2 TB with WD Security.. It is locked now and not accepting password.. Can i remove password from it without loosing my data ???? Self encryption and third-party encryption such as smartware. So you need to find out which encryption your drive has now. Our tool supports direct password removal or bypass, but not supporting smartware encryption yet. hi dfl data lab i need your product to repaired any brand of hardrive how much for all repaired product the hdd and how to process were buy? 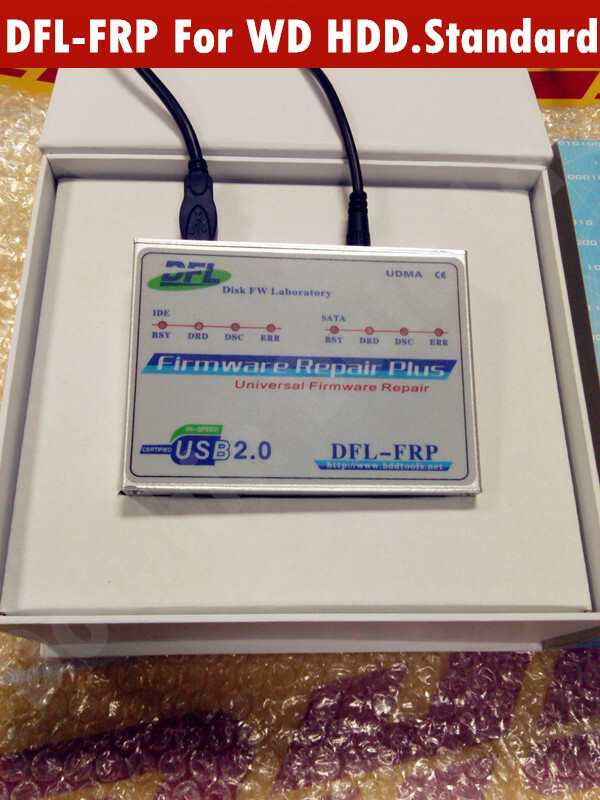 Hello Friend, you can purchase our DFL-SRP USB3.0 for Toshiba/Fujitsu but if you just use our tool to unlock one hdd, this is not cost-effective, common soft cannot do this job. would this work on seagate sata drives? Hello Friend, the WD tool doesn’t work for Seagate but our DFL-SRP USB3.0 for Seagate works on both Seagate SATA and IDE hard drives. Have already answered you question and give price details by email, pls check your email. Hello friend, to remove password is one small function within the tool, what kind of brands you want to remove password from? Bgaimana sy bs mendapatkan alat untuk memperbaiki hdd sy. When I turn on my laptop “Fujitsu” directly ask about SATA HDD Password, I try many way to remove password but I failed and I can’t boot from DVD how can solve that case. Chanced upon your website as I was doing research on how to recover data from my WD My Passport external hard disk (USB 3.0). Would greatly appreciate if you could recommend any of your products to help me recover my data. Thanks!! 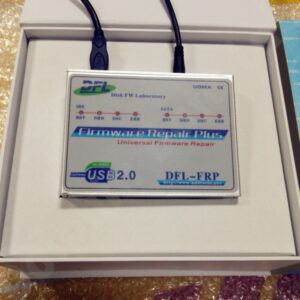 2, DFL-URE USB3.0 data recovery equipment connect your WD USB drive directly and get the data back. But before we recommend the best option to you, can you confirm if you recover only one drive with our tools? If that, it’s not cost-effective to you. Please tell us where you are from and we will introduce one local data recovery service supplier to you with our tools. If you are starting one data recovery business, our tools are very cost-effective then, because you just need to finish several cases, you get your investment back. Besides, Please tell us more about your HDD failure symptoms to help decide the best tool for you. Hello Friend, we don’t have reseller right now in Malaysia and we ship now directly to Malaysia by DHL express, it takes 3 working days to your place. Hi. How to get this service? I’m from Malaysia. Hello there, what kind of services you need? To recover data from WD drives? I have hGST HDD not WD HDD .. Can it possible ?.. and how can i do it?? then you can consider our DFL-FRP for Hitachi for the purpose. 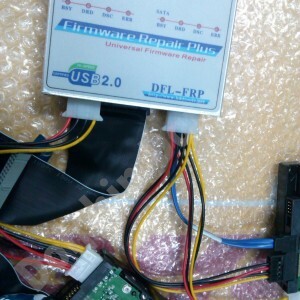 It’s easy to fix the smart problem with DFL-FRP for WD, you can reset smart or you can even replace the smart modules. Does your tool recover/decrypt encrypted data on an external HDD (My Book) due to PCB firmware/VCD chip failure on the interface board? Hello Sir, if it’s default hardware encryption, this can be solved, if it’s third-party software encryption, then no way. 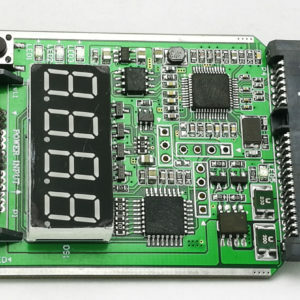 If just the physical interface damage, you can find one donor PCB of the same PCB number and try. If the ROM chip is burnt, you need to manage to regenerate the ROM. So your drive needs further diagnosed, sir. So where is the information for the supplier? We have emailed you the supplier details in Malaysia, pls check your email. i would like to know where can i get this kind of service in my country. Hello Daniel, we will introduce to you one trusted supplier at affordable price for your recovery request, thank you for contacting Dolphin Data Lab. Your drive may have some bad sectors or common firmware problems and our DFL-FRP for WD will be very helpful helping to fix your drive but right now for one single case, we don’t recommend our tools which can be not cost-effective for you. We also reply to you by email. Thank you very much for your interest in Dolphin data recovery tools. I’m from the Philippines and has the same problem with my WD My Passport External Hard Drive. Do you have a local branch or re-seller n this part of the world where I can avail your service? Please do drop a mail. Hi, I’m from Malaysia. Where can i find this product in my country ? We have replied to you by Email, please check the details in your email, thank you. After being very lucky for more then five years with all my Apple computers, Laptop’s and all other Apple devices – one of our MacBook Pro with a Toshiba mk5055GSXF HDD did stop, whilst a phone call – being actually in idle state. Alarming click sounds did emerge suddenly and after restart, no no boot up was possible at all. Waiting tonight and cool down, startup again – same symptom. DiscWarrior from a Startup disc did show a perfect drive at first after drive test – but without any file-structure or any files to recover – Second try: No hard drive emerged at all. So it might be a hardware failure in i/o controller, the read/write heads, the usual parking stuff…. or whatever… I did often discover this on so many Win PC before 2009, as a former IT Engineer. I did all recovery in my old company without thinking about it will cost me any money during all the years. But after we did start up a nonprofit organisation and working with traumatized people after Tsunami and Earthquake’s or War around our World, we have now less money, but now we have to pay mind-boggeling prices for simple recovery services some of them real fantasy prices. Most of this companies just taking advantage of peoples desperate loss of data, and raise their prices to criminal hights. People pay for their own subjective value of data, not for the ridicules little work spent, to recover the data. I heart from our contacts, your company does have human prices and good tools to recover data, also on Apple computers. This is why we contact you guys. We have some backup on this particular Laptop, but when traveling in rural areas, we are not able to do regularly backup, back at home and lots of addresses, valuable data and pictures to peoples insurance companies they need to get their life back. Death lists we should send to WHO and data from local authorities are lost, when we give up a recovery, because of unrealistic high prices. Prices for short work a computer does, whilst a person does other stuff and just let the computer transfer the data to another HardDrive. I will do it by my self and perhaps use the Repair Tool just one or twice more in my life, but this is about human destenies and families who have lost their love ones. So it is worth it in every single case I guess. It may not be valuable to us in the West, but valuable for every single family. Perhaps we can affort your recovery tools and we can continue doing our job. 1. Is there any chance to recover Data from a Toshiba mk5055GSXF HDD in a Apple environment? 2. How much will this Hardware cost for us? 3. Do you have perhaps tools used as Demonstration equipment on trade shows? 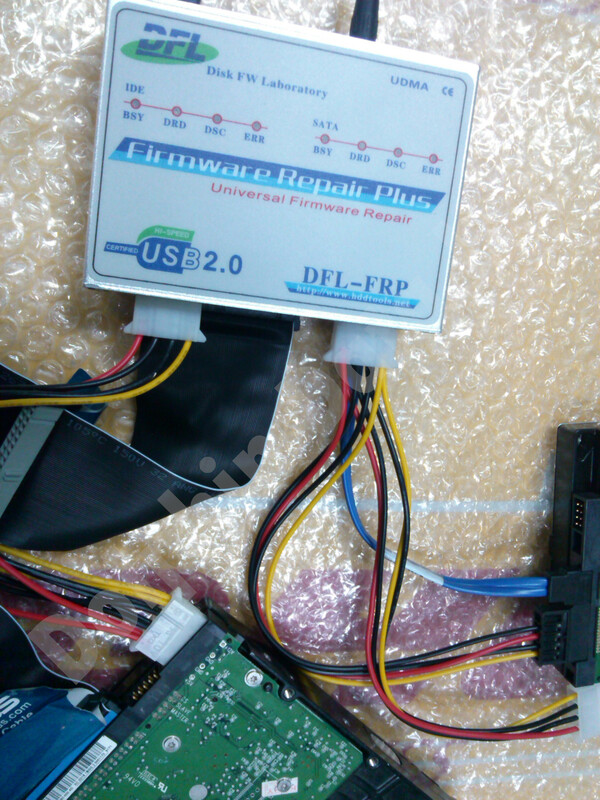 Nice to know that you are selling the HDD firmware repair tool. My Question is is it only works for WD or any HDD..Kindly send me the price of the same. i bought a WD my passport hard disk 3.0 1TB one and half year back. Accidentally i removed the hard disk without using safely remove option,result of that caused a big problem to my hard disk. In window 7 ,it getting detected, and when i go to manage option , it showing the hard disk unallocated and without any file system ,and ask me to initialize the hard disk with MBR or GPT first. i tried every method of recovering my very important data, but failed and i am not able to format it also,and when i tried to wipe data also, it shows there are too many bad sectors. For one single drive, we don’t recommend our tools and our tools are mainly used for commercial purposes, otherwise, they are not cost-effective for you for single case. As for your drive, it’s possible to recover the data, can you tell us where you are from so that we may introduce our reseller for more localized and professional support to you. Hola! I’ve been following your site for a while now and finally got the courage to go ahead and give you a shout out from Houston Texas! Just wanted to mention keep up the good work! may i know please, where can i repaired my hard disK? I WANT TO REPAIR MY HARD DISK IN KOLKATA.IS IT POSSIBLE?? It only serves to Western Digital HD? How can I buy one here in Brazil? DFL-FRP can support both seagate and western digital and we will release Samsung, Toshiba, Fujitsu, Hitachi, etc soon. ı have got a Western Digital My Passport drive..
i did buy it 3 years ago..and i didnt set any password..
i used it without password..
when i plugged in..comes smartware virtual cd…and it says too many password attemts. and only selection to format it..
is there any way to save my data ?? Thank you very much for your questions and calling and we have answered you details by phone. You can try to convert to sata interface or change one USB board to fix this drive. It can be caused by bad sectors or conversion parameters errors. Hi, can you send my a quote? The new version of DFL-WDII has been working stably with the new hdd repair features and the new manual is also detailed based on the V2.4. We keep adding new documents and case studies in the user-only forum and users are able to download them for a more positive use of the tool. We will finish the revised manual for DFL-WDII soon and release it in our forum. I am sorry but we don’t set up one Australia reseller right now and we are discussing with some company there and hope to finish the contract soon. If you are interested in reselling our tools, you can please email to us your company details and we will consider it too. 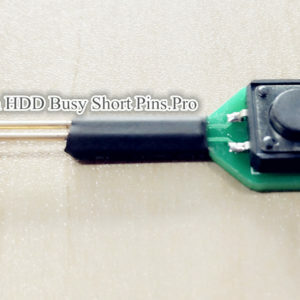 we have one friend working in a laptop repair company recommending this tool to me, can you let us know if we can buy it in Australia? I heard you’re writing revised user manual for this tool, when you finish it, we will buy it. Please also prepare more case studies for this tool, thank you. what about the shipping method, can you ship to Iceland?